Insurance Amnesia: When did auto insurance become a joke? To your auto insurance company, carrying paying passengers falls into the same group of troubling excluded uses as does carrying explosives or radioactive materials. For UberX drivers who mistakenly believe they are “ride sharing,” the news is not good. UberX is not ride sharing; UberX drivers are carrying paying passengers for profit which is absolutely excluded under their personal auto policies. Unless you have an OPCF 6A Endorsement that permits carrying paying passengers as part of your policy, you are not insured. Every taxi and limousine in Ontario carries this endorsement. UberX drivers are either under the mistaken impression that they do not need this endorsement or are deliberately hiding this excluded use of their personal vehicle from their insurer. To those of us who have worked for decades as insurance professionals, it seems that politicians, police, and media have been stricken with some kind of “Insurance Amnesia,” the chief symptom of which is to forget that it is against the law to drive without proper insurance, and that personal insurance policies specifically exclude drivers who carry paying passengers. UberX continues to operate without insurance despite Toronto Council’s motion requesting they cease operating until they are brought within the law. Insurance Amnesia is running rampant. Officials who are elected to design and uphold the law are, incredibly, promoting wholesale disregard of Ontario’s insurance laws. By now, Tim Hudak, John Tory and City Councils across the province should be fully aware that UberX drivers who do not carry an OPCF 6A endorsement are not covered to carry paying passengers; yet when Toronto’s Chief of Police says he does not have the resources to enforce the law, no one bats an eye. When did insurance become a joke in Ontario? In the case of UberX drivers who are pulled over while transporting paying passengers, police or licensing and standards by law enforcement officers should simply ask for a copy of the 6A endorsement and charge the driver if he fails to produce evidence of this proper insurance. City Council does not have the authority to re-write Ontario’s Mandatory Insurance Act or the Highway Traffic Act. No matter how much users love UberX, technology does not trump the law. To the insurer, it does not matter if the car was dispatched using an app or dispatched using a telephone. If you’re making money from it, you are carrying paying passengers. It’s black and white; there are no shades of grey. This begs the question: which is the greater societal crime to which enforcement resources should be allocated, illegal parking or uninsured vehicles? Promoting the idea UberX drivers need some special new insurance product is disingenuous and irresponsible. The product that UberX drivers need exists right now: it is the OPCF 6A endorsement. UberX drivers are free to purchase this at a cost of about $4000 to $10,000. Let’s admit the truth. Uber doesn’t want a new product; it wants a cheaper product. In spite of all the recent publicity, UberX drivers continue to drive without commercial insurance; this constitutes insurance fraud. By systemically hiding UberX activity from their insurers, considerably increased injury exposure will push the cost of your personal auto insurance up over time, undermining Ontario’s mandate to reduce it. UberX drivers stubbornly ignore the Financial Services Commission of Ontario and Insurance Bureau of Canada’s warnings about the personal auto paying passenger exclusion and the City of Toronto’s cease order. It is wishful thinking that these same UberX drivers would buy any new product later when they won’t purchase the existing product now. Now that Aviva has had the intestinal fortitude to take a stand with uninsured UberX drivers, perhaps the rest of the insurance industry will drink a cup of courage and do the same thing….. before a tsunami of uninsured injury claims come rolling in. Philomena Comerford is President & CEO of Baird MacGregor Insurance Brokers LP and its affiliate, Hargraft. She joined the firm in 1980 after serving at a national brokerage, is the incumbent President of the Toronto Insurance Conference Board, member of the Insurance Brokers Association of Canada’s board of directors, and is a past Chairman of the Insurance Institute of Canada having also served on IIC’s Examination, Education and Executive Committees. 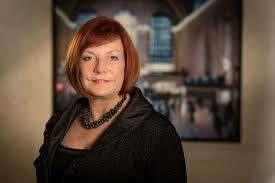 She is also the incumbent Chair of the Insurance Brokers Association of Canada’s Political Action Committee. Philomena has served on the Ontario Automobile Operating Committee of the Facility Association and is a frequent public speaker on insurance and risk management topics. Philomena participated in The City of Toronto Taxicab Review in a series of roundtable consultations regarding public vehicle insurance and risk management best practices. Baird MacGregor is an established specialty commercial automobile insurance provider with significant public vehicle insurance expertise.